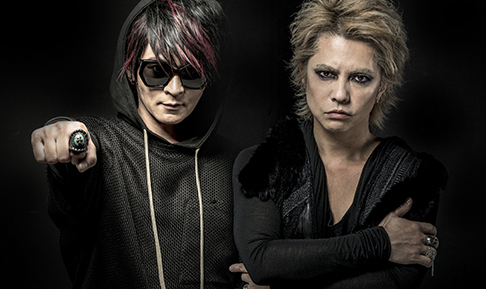 VAMPS to Temporarily Cease Activities | VKH Press – J-Rock & Visual Kei Coverage Worldwide! Sad news from rock duo VAMPS. The band announced on December 1st that they will temporarily cease their activities after the month of December 2017. VAMPS is a rock duo formed by HYDE, vocalist from L'Arc~en~Ciel and K.A.Z , guitarist from Oblivion Dust. They began activities back in 2008 and have been successfully creating music and hosting tours both domestically and internationally since their formation. They also have collaborated in singles with musicians such as the Finnish cello metal band Apocalyptica and Chris Motionless from Motionless in White.